This is an 8 oz flask with a leather wrap. 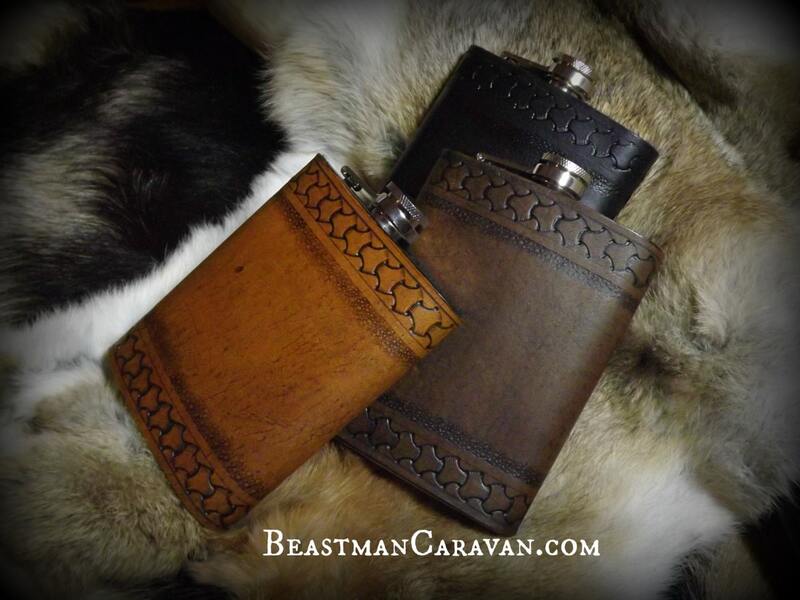 The leather has a border design inspired by viking and celtic cultures which goes along the top and the bottom of the flask. 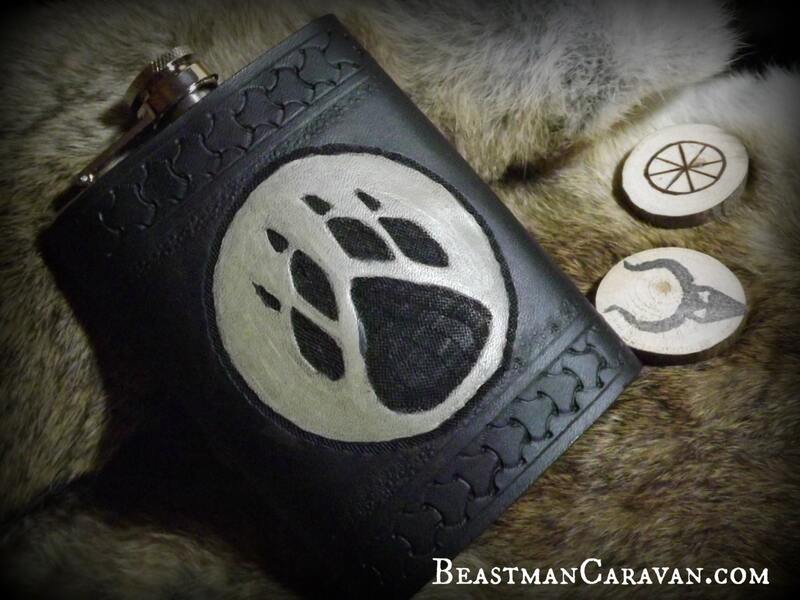 Additionally, the center of the flask features a wolfpaw on the full moon design. If you would like your initials on it, please leave the information in the comments. If you would like to add additional designs to the front of the flask, please contact me for a custom order.